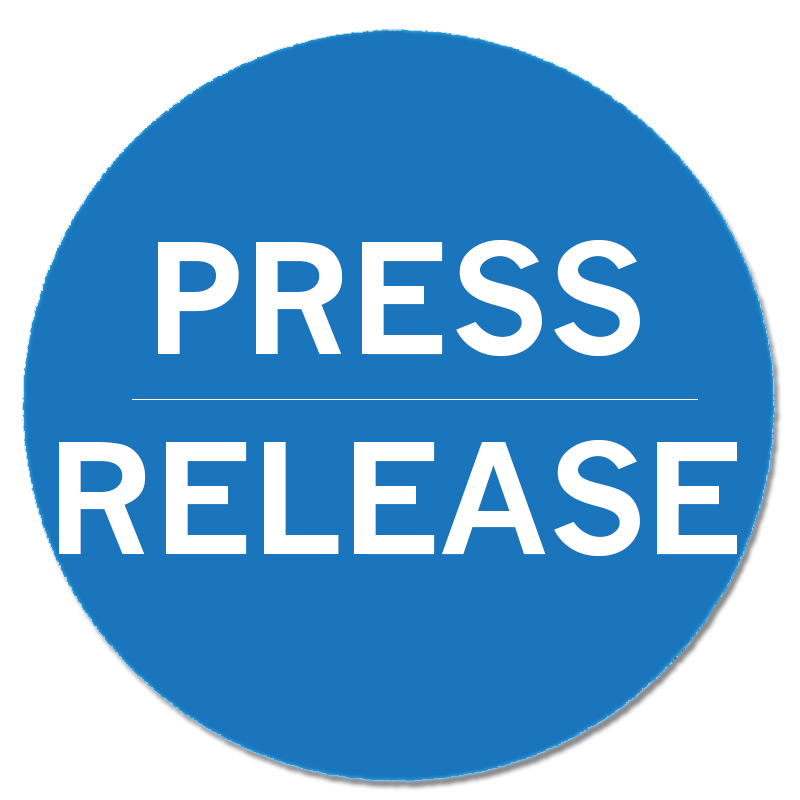 News & Media - Richard Celler Legal, P.A. Davie, October 12, 2015 — Richard Celler Legal PA has been selected for the 2015 Best Businesses of Davie Award in the Employment Law category by the Best Businesses of Davie Award Program. Each year, the Best Businesses of Davie Award Program identifies companies that we believe have achieved exceptional marketing success in their local community and business category. These are local companies that enhance the positive image of small business through service to their customers and our community. These exceptional companies help make the Davie area a great place to live, work and play. Various sources of information were gathered and analyzed to choose the winners in each category. The 2015 Best Businesses of Davie Award Program focuses on quality, not quantity. Winners are determined based on the information gathered both internally by the Best Businesses of Davie Award Program and data provided by third parties. The Best Businesses of Davie Award Program is an annual awards program honoring the achievements and accomplishments of local businesses throughout the Davie area. Recognition is given to those companies that have shown the ability to use their best practices and implemented programs to generate competitive advantages and long-term value. The Best Businesses of Davie Award Program was established to recognize the best of local businesses in our community. Our organization works exclusively with local business owners, trade groups, professional associations and other business advertising and marketing groups. Our mission is to recognize the small business community’s contributions to the U.S. economy. 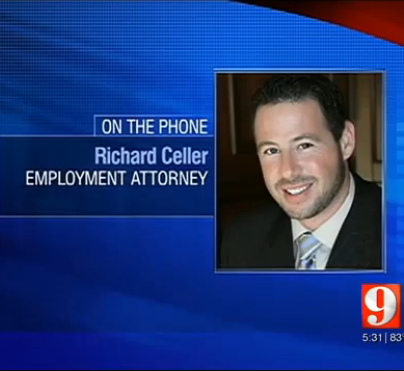 WFTV features Davie, Florida Employment Attorney Richard Celler Legal, PA regarding the filed lawsuit by the health care facility workers claiming they were fired because they were not religious enough. 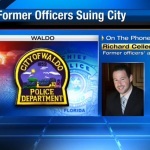 News4JAX features Richard Celler Legal, PA against Waldo City Council, which involves four former police officers who are suing, saying they are being punished for telling the truth. Gainsville Online. Ex-Waldo Police Officers Plan to Sue. Four former Waldo police officers plan to sue the city that once employed them because they blew the whistle on alleged illegal activity within the agency, leading to its closure. 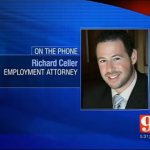 WCJB-TV features Richard Celler Legal, P.A. high profile lawsuit against City of Waldo for illegally firing four police officers after blowing the whistle on the city that employed them for alleged fraud. 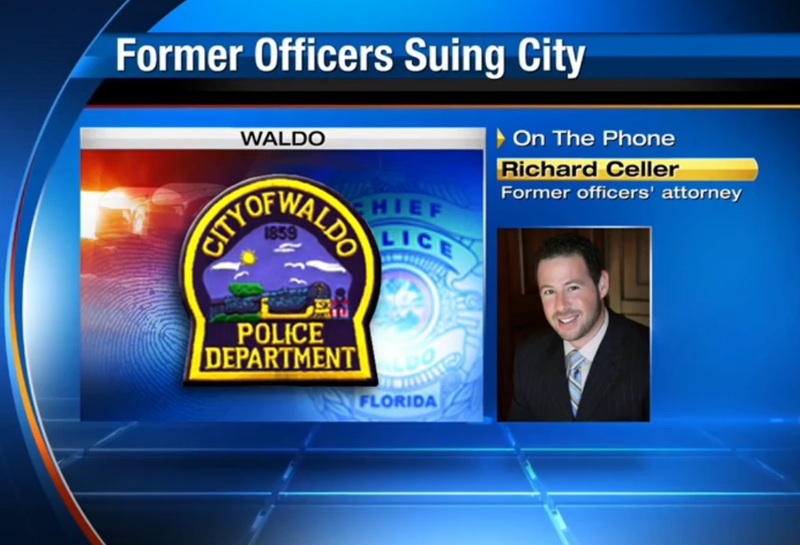 GTN News interview of Davie, Florida Employment lawyer Richard Celler in lawsuit against Waldo City and the two men who were in charged with the police department. Spartan Race – team Celler Legal proudly participated in the South Florida Spartan race. Way to go team!